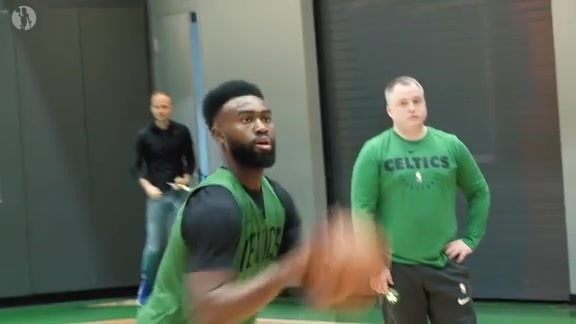 BOSTON – On the day before his second training camp with the Boston Celtics began, Guerschon Yabusele was already oozing with confidence and eagerness. Through the first two games of preseason, Yabusele has accomplished those goals as well as any other player on the team. Over the course of 28 minutes, he has stuffed the stat sheet with 15 points on 7-of-11 shooting, six rebounds, three blocks, two assists, one steal and has committed only one turnover. Yabusele’s rookie campaign was filled with uncertainty, as he went back and forth between Boston and Portland, Maine – the home of the Celtics’ G League affiliate Maine Red Claws. He compiled just 235 regular-season minutes with the C’s last season, but his teammates saw flashes of potential during his short stints on the court. “I think that even last year I felt that he could do certain things,” frontcourt mate Al Horford said Monday after practice in Brighton. “It just probably wasn’t his time yet. Where Yabusele has truly established a presence is inside the paint. That’s where eight of his 11 shots attempts have come, and he’s converted them at a 75 percent rate. 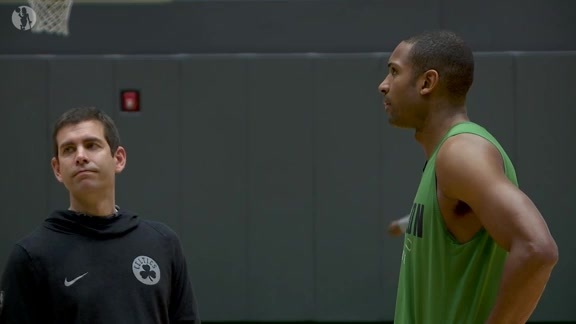 Coach Brad Stevens says the team made an emphasis during the summer to use Yabusele more in the post, where he can cause problems with his 6-foot-8, 260-pound frame. With that being said, he’s also agile enough to play the 4, so his versatility could give the Celtics multiple options coming off the bench. Stevens admitted that because of Boston’s incredible depth, he’s not exactly sure what Yabusele’s role will be this season. However, the the coach insists that the Dancing Bear will play a part in the team’s journey. While there is some uncertainty revolving around Yabusele’s playing time, just like there was last season, he is not at all concerned with his role. While he may not know what to expect minutes-wise, Yabusele fully understands what the team wants out of him whenever he hits the floor. His job is to provide energy, versatility and to give the team a solid presence in the post. Through the first two games of the preseason, Yabusele has done all of the above to the best of his ability, and so far, it has paid off.